I hope you are having a good week – I returned last night from my travels, weary but happy to be home! 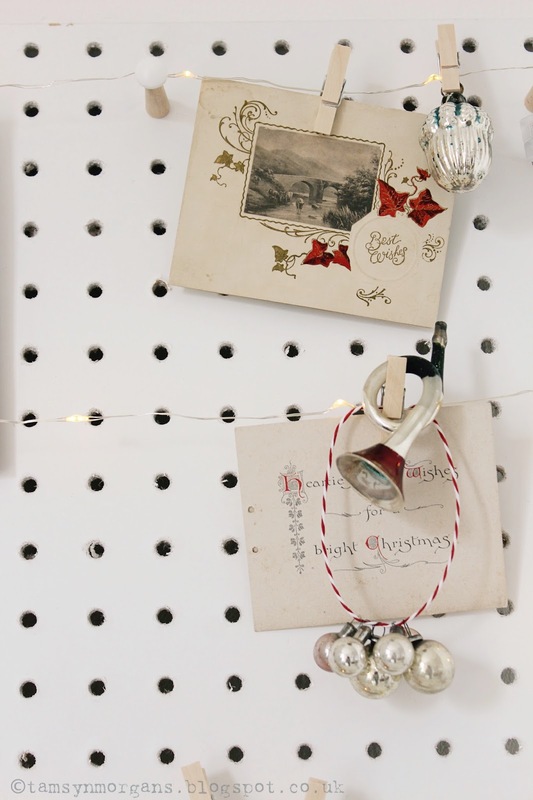 When the lovely people at Rose & Grey asked me if I would like to style their cute peg board with a festive touch, I couldn’t refuse. 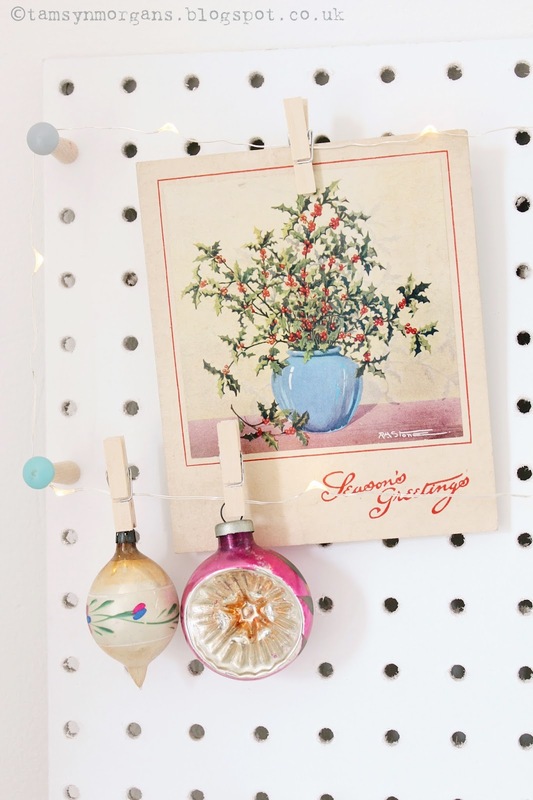 It comes with little coloured wooden pegs, perfect for hanging little treasures or postcards. 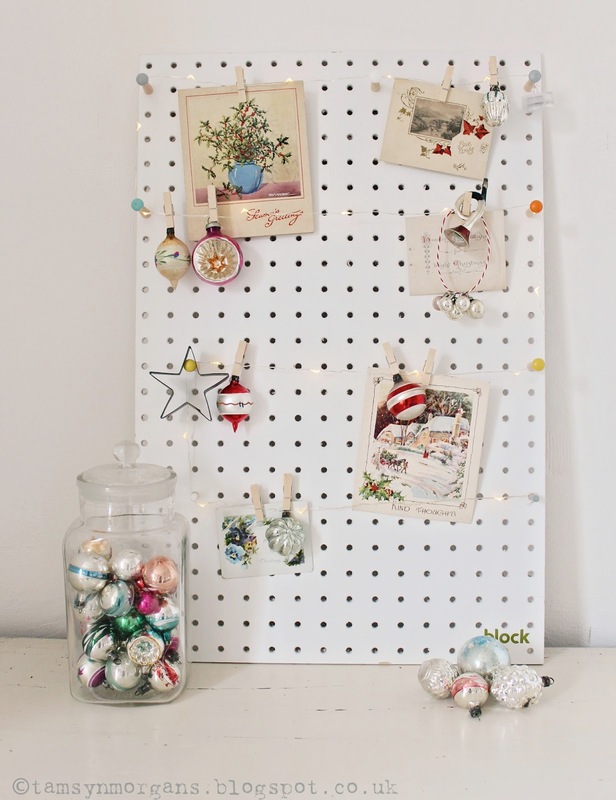 I strung it with delicate wire fairy lights, to make little washing lines upon which to hang my collection of vintage Christmas cards. 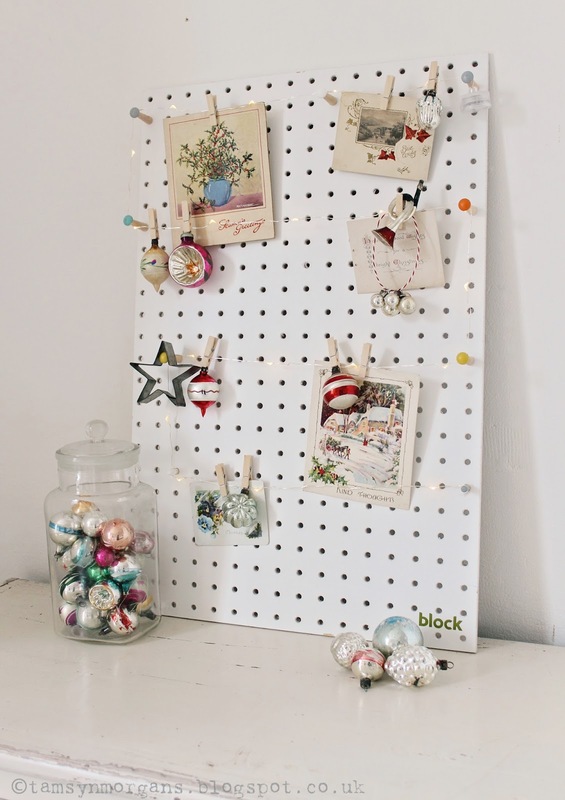 I also think it’s going to look really lovely in my son’s bedroom with some of his mementos and artwork displayed on it! My new external door in my dining room was installed by my builders last week, and after I finish decorating, I hope to share some snaps with you.